I’ve really wanted to start putting together pieces of my memories in a single place — a blog post. So here’s the first chapter of my photo diary. September. The first photo will date back to September 28, 2011. Our “wood” anniversary. 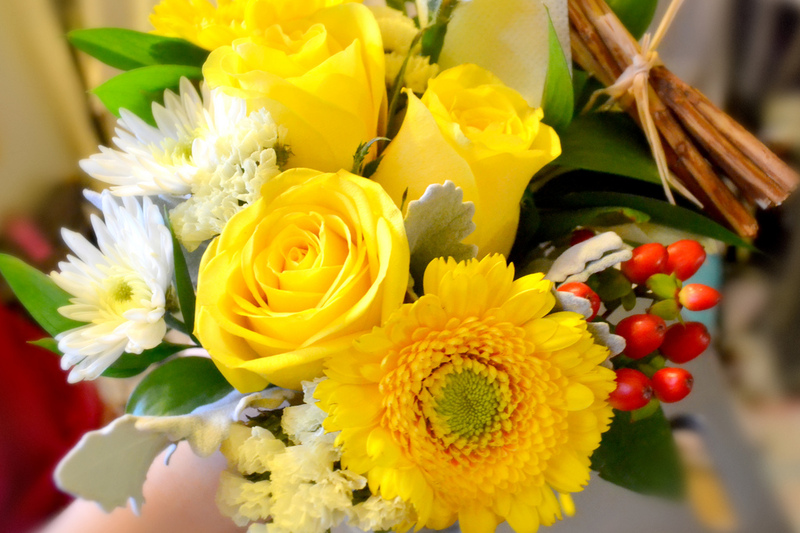 There is a small piece of wood in the yellow bouquet among the roses and sunflowers. Looking at this photo now, I feel like I can still smell the summer air. 5 years. This blog has brought me SO MANY memories. I’ve been to places I’ve never thought I would. Met people I would’ve never dreamed of gracing. My memory fails me often, so I must document, document, document. I finally got to try out Tartinery in Nolita. Had lunch there with Donna. Ate the best French Onion soup ever. Afterwards, we just took over the lower level to film my interview for her project. Super fun times. Why must everything be about food?…. December. The year is ending so soon. I have such a great feeling about 2012, though! I suppose I can end this post with my latest photo, taken after partying at The Back Room on the LES with Jaclyn. Before that, we went to Verlaine. $5 lychee martinis and amazing South Asian tapas. Yes, please!